Golden State Warriors fans hoping Stephen Curry will return to the court any day now might have to hold out just a little longer. 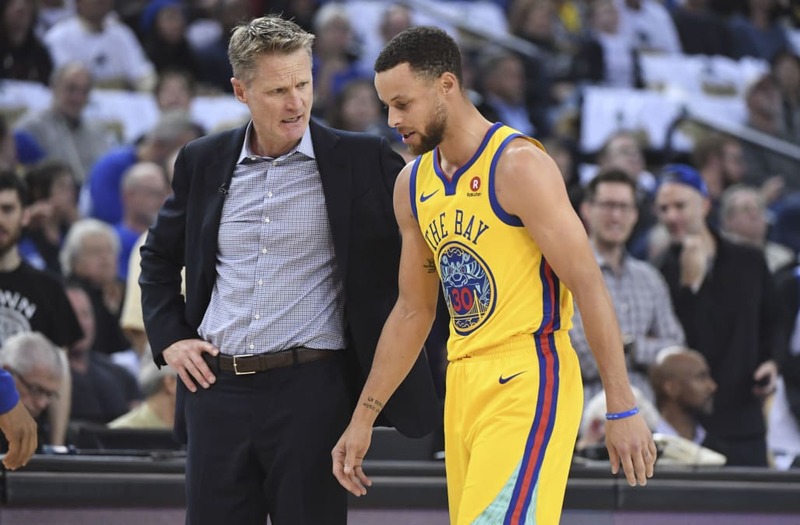 Curry’s recovery from an MCL injury may take the full six weeks, meaning he could be in danger of missing the start of the second round of the playoffs, according to Marcus Thompson II of The Athletic. The original diagnosis for Curry’s injury had him out for four-to-six weeks. It will be four weeks Friday, and Curry isn’t much closer to returning to action, according to Thompson. Friday will make four weeks since the injury. It is looking as if the ligament will need a full six weeks to heal. That six-week point would be May 4. That could mean it’s more realistic for Curry, who no doubt is desperate to return to action, to return for Game 3 of the next round — especially if you factor in the Warriors’ usual cautiousness. Best-case scenario? One, the Warriors make quick work of San Antonio. Two, the Blazers win in New Orleans either tonight or Saturday (or both) and extend the series. Three, the next week yields significant progress for Curry’s MCL and maybe it is fully healed after five weeks (April 27). If the Warriors are already done with the first-round series, he could get some practices in and possibly be ready for Game 1 of the second round. That’s best case. While Warriors fans want Curry to get back on the court as soon as possible, the team hasn’t struggled much without him in the first round. The Warriors beat the Spurs by a score of 110-97 on Thursday night to take a commanding 3-0 lead in the series. If the Warriors can keep playing well without Curry, that makes it easier for the team to be cautious with him as he recovers from the injury. And if the Warriors can get back Curry at 100 percent in the middle of a playoff run, that would be pretty terrifying for the rest of the league.